Ah, 'tis the season for families to gather at their local theatre and take part in one of Britain's most iconic festive traditions - a pantomime. This year, Birmingham Hippodrome has really gone all out with its production of family favourite Cinderella. 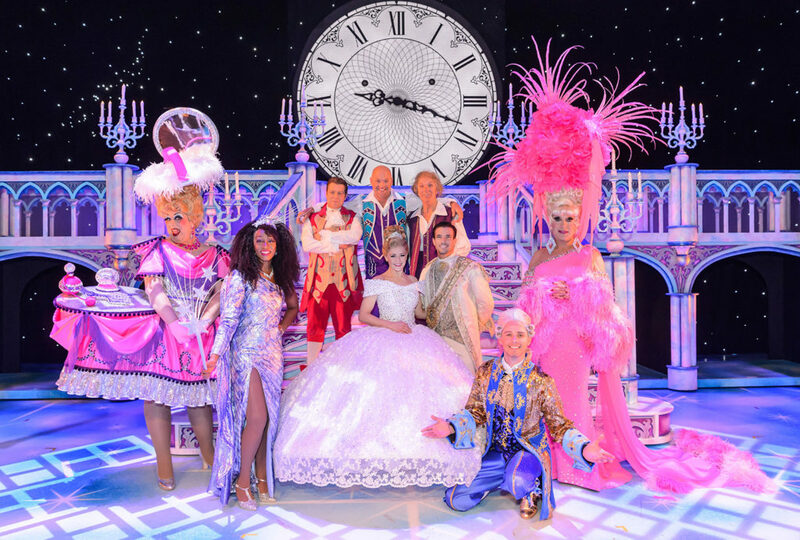 Produced by Olivier-nominated pantomime producer Qdos Entertainment and directed by Michael Harrison, who is also directing the famous London Palladium pantomime this year, Cinderella boasts an all star cast. Pop and television star Suzanne Shaw takes on the title role, and Birmingham panto favourite Matt Slack plays Buttons, Cinders' best friend and the narrator of the piece. It's Slack's fifth year appearing in Birmingham Hippodrome's panto, and his appreciation for the city is evident in his good hearted ribbing. The rest of the star studded cast is equally impressive. Amongst them, Wolverhampton born superstar Beverley Knight shines from the moment she opens the show, displaying her core shakingly powerful vocals as she flies above the audience as the glam fairy godmother. Starring alongside Knight, Hollyoaks actor and 2016 Strictly Come Dancing finalist Danny Mac pleases the crowd with some slick moves straight from the Strictly dance floor. This panto definitely plays to the strengths of its cast, with characters breaking the fourth wall to fawn over their talented co-stars (Matt Slack's Buttons seems particularly starstruck by Beverley Knight at one point) and it's great fun seeing so many talented individuals gracing the Hippodrome Stage and seemingly having such a great time doing so. There's plenty of fun content to pad out the all too familiar tale of Cinderella, the scullery maid plagued by her two evil stepsisters, who transforms into a princess and attends the local prince's ball with a little help from her fairy godmother. There are more subplots than you could shake a magic wand at, and loads of hilarious skits such as a magical karaoke session which sees Beverley Knight and James Brandon of The Grumbleweeds switching voices during a rendition of Joe Cocker's Up Where We Belong. Loads of brilliant parody songs also feature, and provide lots of entertainment. One particular standout number is Gonna Be A Prince Like You, a parody of Ed Sheeran's Shape Of You which takes place when the Prince persuades his servant Dandini to pretend to be him so he can walk around his kingdom without being recognised. There are also the usual pop culture references typical of pantos, and plenty of references to Birmingham and the surrounding area to keep the audience happy. This year's Cinderella seems bigger and better than all of its panto predecessors and should definitely not be left out of any family's festive celebrations. For anyone aged 5 to 105, Birmingham Hippodrome's spectacular pantomime will undoubtedly be a truly magical experience.